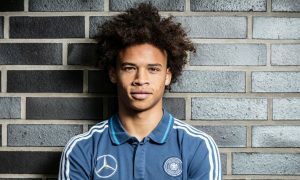 Leroy Sané has overcome a difficult period of his young career that saw him left out of Germany’s World Cup squad, then apparently fall out of favour at Manchester City in the early weeks of the season. Since then, the 22-year-old, who recently became a father, has returned to the fray and is looking back to his best, terrifying defences with his electric speed and playing his part in many City goals. Leroy has three assists and one goal in his last give appearances for the Blues, and should have had a penalty against Hoffenheim on Tuesday night – something the man who fouled him, Oliver Baumann, even admitted after the match. There have been some questions about Sané’s attitude, but comments given to Sport 1 following last night’s game suggest he is a determined man who knows he can still improve – and he enjoys the criticism of managers. “I love challenges, especially with Pep Guardiola,” Sané told reporters in Germany. “Jogi Low and Pep Guardiola both know exactly how to deal with me. To receive criticism from big coaches even delights me a bit. Sané is expected to retain his place this weekend when City travel to Liverpool looking to end a 15-year hoodoo at Anfield.